Home / Editor's Choice, Entertainment News, Featured Articles, Gossip and Drama, Politics / So sad! How Equity Bank manager turned down a dying patient’s request to withdraw money for treatment. So sad! How Equity Bank manager turned down a dying patient’s request to withdraw money for treatment. 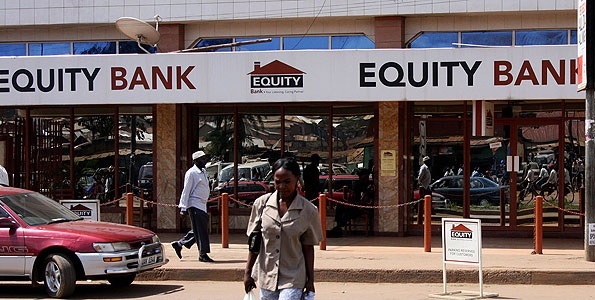 This is an exposé on Equity Bank, Mbale Branch. On 5th December 2018, I went to Equity Bank Mbale Branch at around 3.00 pm. A very sick man was brought in a Vihiga County ambulance and the vehicle was parked outside. Accompanying him were some medics and his family including the wife. The hospital needed money to treat this man. The man had money in his account but was unable to transact, even sign or use digital fingerprints because he was very ill. The wife pleaded with operations manager to get money on his behalf, but all this fell on deaf ears. The operations manager and a Customer Care staff went to see him in the vehicle but they refused to help him get the money. The police on duty also noticed the situation and tried to intervene and plead with the manager and staff in vain. Why wouldn’t they have used his passport picture to verify, used available identity card and take manual fingerprints using ink because he couldn’t sign? How inhuman can Equity Bank be? I left the bank hall towards 4 pm and this customer had still not been helped. Why would one bank with Equity Bank, a bank that would refuse to help you during your hour of need, reason being some bureaucracies?